Exchange EDB file to MBOX converter migrate all your files to MBOX, the private data of your mailbox is preserve in priv.edb which store emails, calendars, tasks, notes, journals & other items. 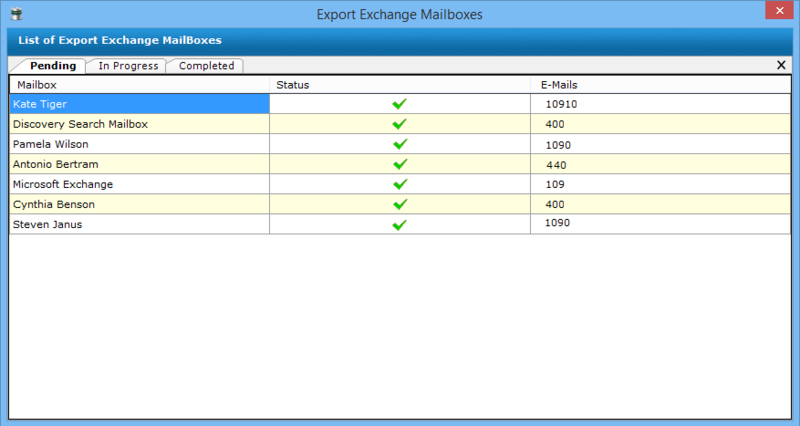 Exchange to MBOX exports all your public or shared folders of user mailboxes in pub.edb file. All the default messages & attachments are stored in pub.edb file. To recover corrupt EDB files, the export exchange to MBOX software has a feature with which you can perform Deep scanning in case of highly corrupted EDB files, it will be activated from the respective screen. Once the scanning finishes, the software lists all the mailboxes in it, then you can select any of the folders within mailboxes & preview emails, contacts, calendars etc. in its original information. It also lists properties of each items being previewed like To, From, subject, Cc, Bcc etc. To export EDB file to MBOX, you can check/uncheck the respective mailboxes. 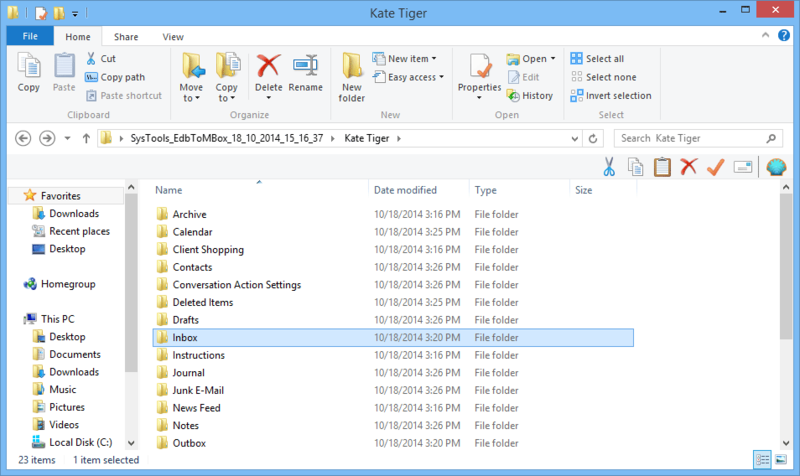 Thus, to convert EDB file to MBOX you can only select item folders which you need. The software will create single MBOX file for each items that you select. Once the scanning & conversion of EDB mailbox is done, the Exchange to MBOX software generates the export summary report. The report gives the details of mailbox name, status of export process and number of emails under each user is displayed. Steps to convert EDB to MBOX? 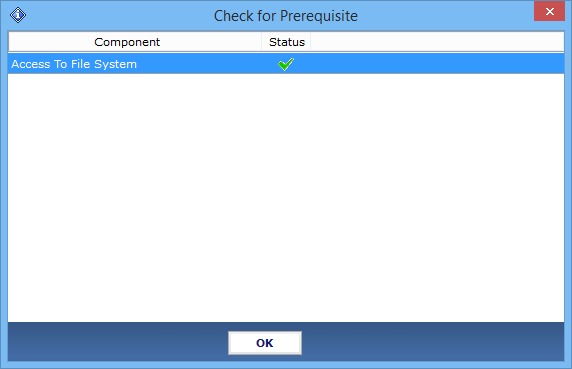 Go to Start » All Programs » Exchange EDB to MBOX Converter » Check for prerequisite. Click on Open Option to choose EDB Database. The software will show the following options. Here you can perform Advance scanning in case of highly corrupted EDB files, it will be activated from the respective screen only. To Load EDB with Advance scan you can check the option and click on OK. The software will show the scanning process on the bottom left side of the screen. A pop up screen will appear with the message of analysis scan completion, then Click on OK.
A User preview of the scanned EDB file will be shown on the Screen. Select the needed folder that you want to convert to MBOX. Click on MBOX option on the header of the screen. You can now Browse for folder to save EDB which has been converted to MBOX then Click on OK.
A complete list of Exported Exchange mailboxes with the status & number of emails converted to MBOX format is shown. A dialog box with the Successful Conversion of EDB to MBOX with the saved location path will also be displayed. Click OK.
Now you can navigate to the location where you have saved the converted EDB file data into MBOX format. Will the software work with 25 GB of exchange mailbox? 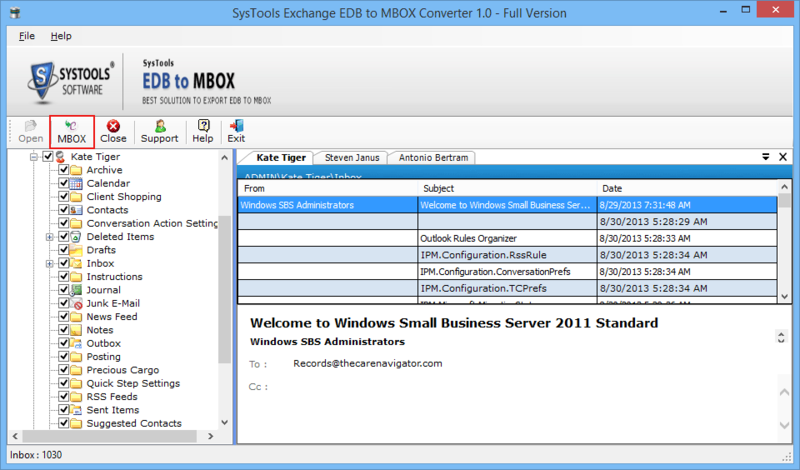 Yes, you can migrate any size of EDB mailbox to MBOX with this software. There is no size limitation to convert edb file to mbox. With this software it is possible to transfer Exchange Server Public Folder? Yes, the software can convert Exchange Server Public Folder. 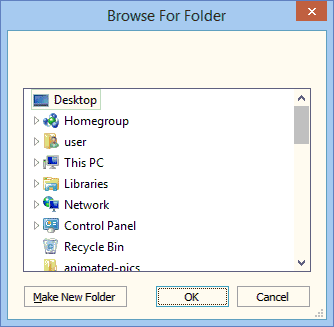 It will show a window where you can select the folders which you want to transfer. Can this software convert corrupted EDB files too? 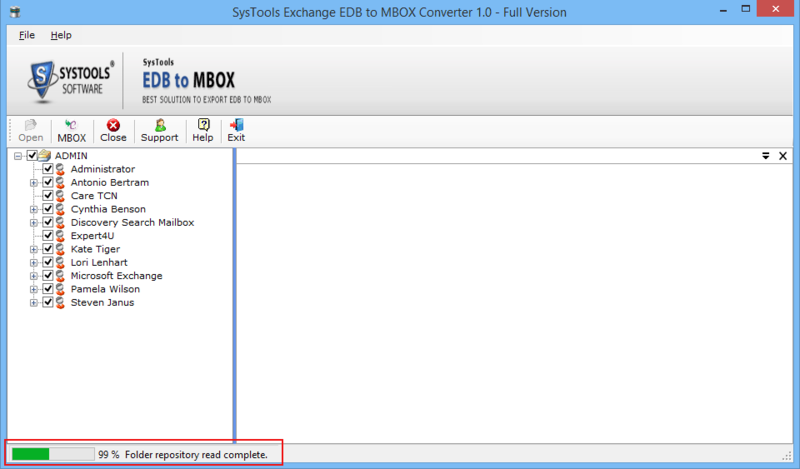 Yes, you can convert EDB file to MBOX even if the file is corrupted. This software first recover data from corrupted EDB file & then it converts it into MBOX. It has two scanning modes i.e Quick & Advance. If all the data is not recovered from Quick scan then you can use Advance scan option for major corrupted files. Is Live Exchange Server environment necessary to perform conversion? No, the live exchange server is not necessary to convert EDB file to MBOX. The server should be in offline mode while conversion. 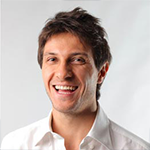 To Convert emails is there any need of MBOX supportive email clients? No, MBOX supportive applications is not needed to migrate EDB file to MBOX file format. 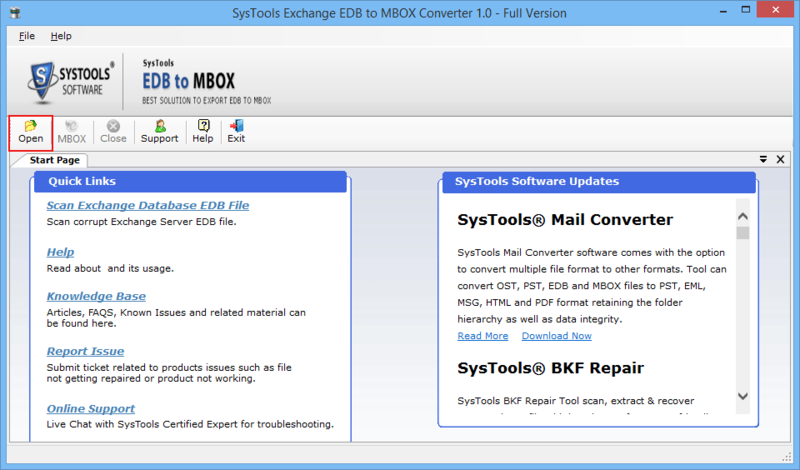 To Convert EDB file to MBOX this tool is very much reliable & easy to use, the tool particulary handles the EDB mailbox conversion to MBOX format. With this exchange to mbox converter, I get satisfactory results. Thanks to this software because of it I was able to transfer my corrupted EDB file to MBOX file format. I was very afraid when suddenly all my EDB files data gets corrupted. I was searching for the best tool to recover my EDB files then I encounter exchange to MBOX software, with this exchange to MBOX software I converted my Corrupted EDB files. 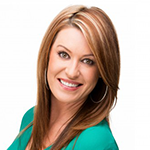 This tool is very reliable & efficient. Thanks to the support team for making this software to help people like me.